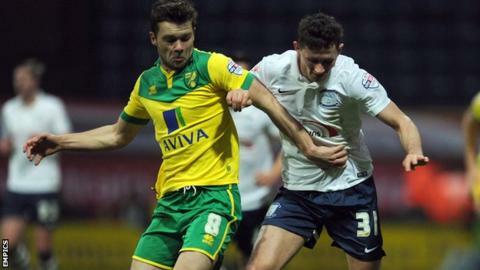 Norwich City midfielder Jonny Howson has signed a new four-year deal with the Premier League club. The 27-year-old has played 110 games for the Canaries since joining from boyhood club Leeds United in 2012. Last season, Howson scored in the Championship play-off semi-final first-leg against Ipswich as Alex Neil's side won promotion from the second tier. "I'm really pleased, especially after last season going so well," Howson told the club website.